I love when Nintendo games aren't afraid to be weird. Paper Mario: Color Splash is funnier and more irreverent than anything else on the Wii U, occupying a strange, occasionally conflicted territory somewhere between platform-adventure and RPG. Paper Mario was once the only Mario role-playing series, but that's changed since the handheld Mario & Luigi games showed up and stole all the RPG trappings. 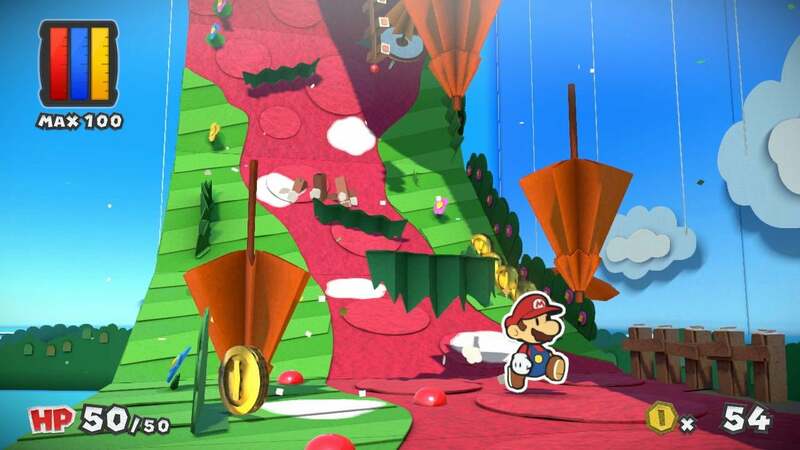 It's left more recent Paper Mario games without a definite hook beyond the art style, as Nintendo's developers have tried to differentiate the two series. But last year's crossover Mario & Luigi: Paper Jam Bros only served to highlight how similar they are in spirit, with their combination of platforming, humour, turn-based fighting and puzzles. 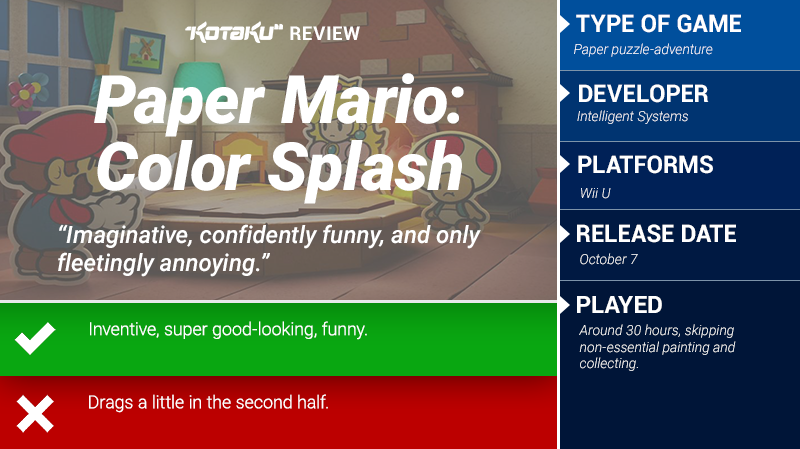 Color Splash's superficial similarities to Sticker Star — the most recent and least loved Paper Mario game — have made some fans anxious, but they needn't worry. Color Splash doesn't have much in the way of RPG elements, but it's got everything that really matters: it's beautiful, clever, well-written, funny, entertaining to play, and surprisingly huge. It's set in a paper-and-cardboard world where Bowser's minions have drained the place of colour. There are blank patches in every level that Mario can fill in by smacking them with his paint-hammer. Unsurprisingly, a hammer is not exactly a precise paint-application method, so you end up splashing bright globules of paint all over the place in your redecoration efforts. The paint-hammer has some clever uses in puzzles, but otherwise this colour-restoration is pretty much optional. This is good, because having to hunt down and fill in every last blank patch would be tedious. I still haven't found one solitary, elusive smidge of white cardboard in Prisma Port, the hub town, and it's been driving me nuts for hours. 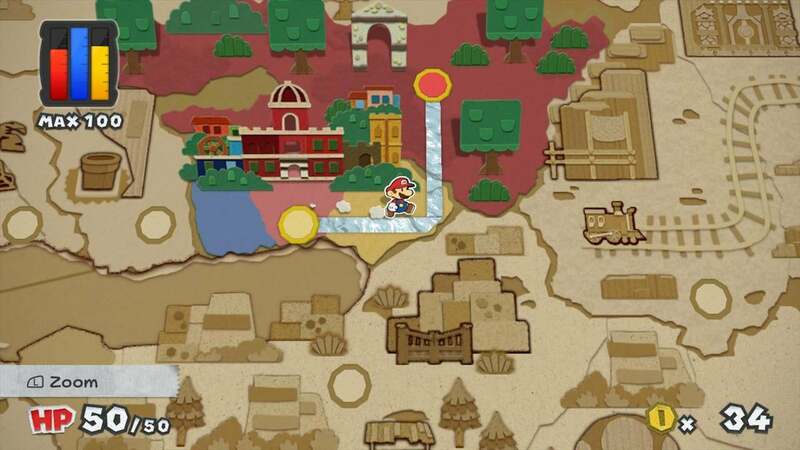 Rather than roaming one continuous world, Mario adventures through discrete levels laid out on a beautiful pop-up paper world map. Where Color Splash improves most noticeably on Sticker Star is in wrapping these levels in humorous narrative. Each one is like a self-contained puzzle-adventure story to play through: a haunted hotel mystery is a particular highlight, as is a lengthy adventure on a cardboard pirate ship. Where Sticker Star felt directionless and rather vapid, Color Splash brims with personality. You know where you're supposed to go and which levels you'll need to return to later because their stories aren't quite wrapped up. I never once found myself stumped for where to head next, though the puzzles meant that I sometimes had to think quite hard about what do when I got there. 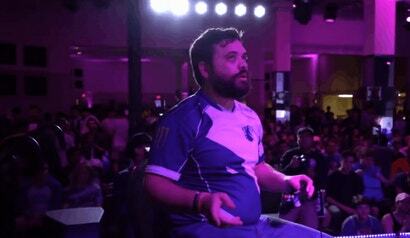 Something weird and memorable happens in almost every level. Rather than just walking around and collecting things to move on, I was restoring a Toad's stately home, hunting down a runaway Chain Chomp pet, rescuing Shy Guys from over-zealous personal trainers, breaking out of a prison, watching a Snifit pop concert. It often made me laugh. Color Splash's combat takes the form of card battles, but it's not exactly Hearthstone. Cards can be found, bought or won from battles, and are in plentiful supply. I never ended up without a basic card that I needed. Each one represents an attack — mostly variations on hammer, jump, Fire Flower et cetera, with a few special cards thrown in for variety — and you arrange and colour them in on the Wii U gamepad before unleashing them on the main screen, where timed button-presses boost your damage. It's fun, this card-battling, but never develops any complexity beyond "don't jump on an enemy with a spike on its head, dummy." I spent about 20 hours waiting for Color Splash to get challenging, but I had a comfortable surplus of paint and coins, HP and Perfect bonuses for pretty much the entire game. As a result, combat started to feel a bit pointless in the absence of EXP to reward me. Nintendo has spent the Wii U hardware generation perfecting a hand-crafted HD aesthetic, from the touchable softness of Yoshi's Woolly World to the smooth, plasticine look of Kirby and the Rainbow Curse. There's not a thing that looks out of place in Paper Mario: Color Splash. Collage clouds float by on bits of string hanging from the heavens; waves of layered sparkly-blue paper lap against the beach; chunky corrugated-cardboard buildings are home to paper-thin wee Toads that flap in the breeze. Every few levels I'd marvel at some new, elaborate papercraft construction. It really is gorgeous. The surprising presence of occasional 3D objects in this world highlights how gorgeous it is, and is also a cool gameplay feature. 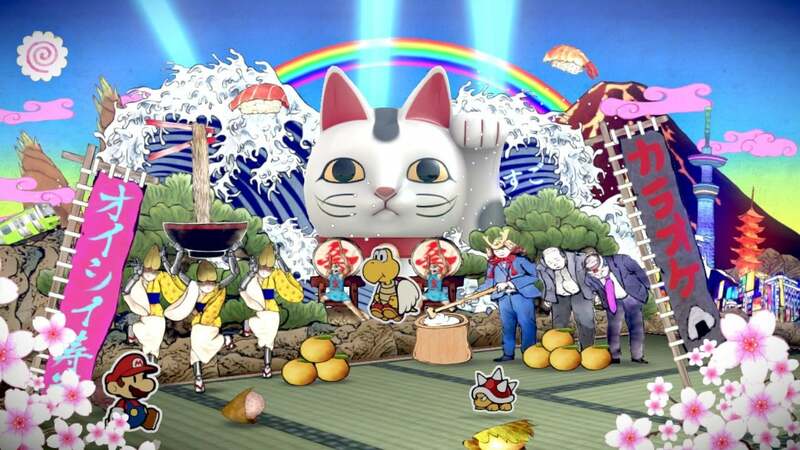 Odd objects like screwdrivers, lemons, fans are found hiding around the place, all of them giant, enhancing the illusion that Paper Mario's world is a real miniature diorama. These Things, once squeezed into the form of a 2D card, are used in puzzles - what might you need to blow a ship in the right direction, or restore a light-house, or unblock a pipe? Thankfully, once you've found a Thing once, you can easily buy a replica card — there's no Sticker-Star-style tedious trekking around in the hopes of finding what you need. The most challenging part of Color Splash was figuring out what Thing cards were needed to thwart a boss or progress in a level. Things are the keys to boss battles: about halfway through, bosses will unleash a one-hit kill special attack that can only be prevented with the correct item. If you don't have it, you're screwed. There is a hint system to help with that, but it didn't stop me from twice working through an entire dungeon and arriving at a boss battle that I couldn't possibly win. My own impatience was to blame, though. I should have visited the Toad who lives in a trash-can in the hub town, and mysteriously knows exactly what it is you'll need next. The developers are proud enough of these Thing sequences to have included a little making-of section about them in the in-game manual (which is secretly awesome, by the way), full of great art and behind-the-scenes info on Paper Mario's development. Along with the always-excellent localisation, jokes, word-play, visual gags and delightful Nintendo cameos, they make Color Splash genuinely funny. It's also unexpectedly massive. I set aside a good 20 hours for Color Splash and finishing it took closer to twice that (30-35 hours). I was getting rather impatient with it in the second half. Some of the later-game plot twists feel like artificial roadblocks: once or twice it performs that unforgivable Skyward Sword trick of showing you the item you're looking for, then "surprising" you with an extended detour before you're allowed to actually get it. One irritating sticking point for me was a game-show level that wanted a perfect score before yielding the item I needed to progress. This game-show interlude was great fun when it was a one-off break from adventuring, but phenomenally irritating when it demanded perfection. Color Splash's pacing feels a little off at times. The puzzles and general wordiness slow things right down, but card combat and getting around the levels feels simple and snappy. This is just one way in which it feels caught between JRPG and action-adventure. It's hard not to miss some of the role-playing elements, like levelling up and equipment-fiddling, that were present in the older Paper Mario games. There's no compelling reason for them not to be there, and the simplistic card-battling could have been significantly improved by the depth that such systems might have offered. Despite its wit and surreal diversions, there were times when I just wanted it to move on. Color Splash is so damned imaginative and beautiful, though, so colourful and confidently funny. Even when it annoyed me, it was only fleetingly. 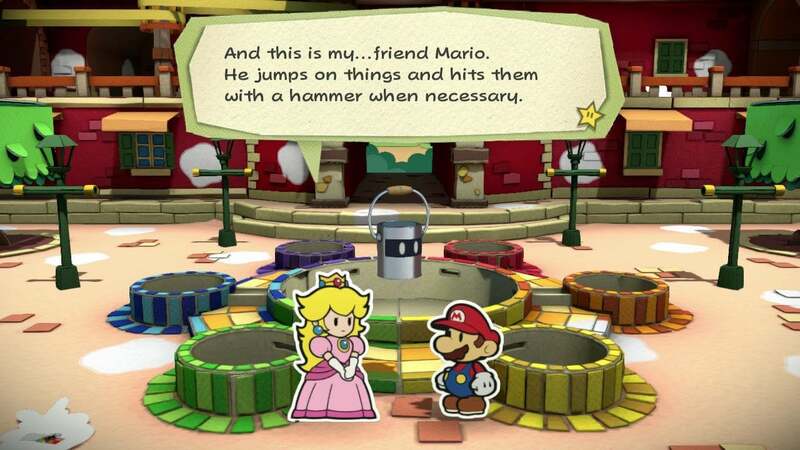 It makes the abstract world of Mario so personable. Its gentle, playful weirdness and irreverence contrast so positively with the prevailing seriousness of fall's big games. It also has the kind of originality that I desperately wanted and never got from Paper Jam Bros. Apart from Zelda, it will be the last big Wii U game, and it embodies so much of what makes its host console loveable. I like that the digital manual has so much going on, it really helps to make the game feel like it has everything the developers could pour into it. See you on the other side of the nx release, paper Mario team. I always forget that digital manuals are a thing. Never bother to look at them. I am so happy that this game has turned out well. I have a weird love of the Paper Mario games (never played Sticker Star, though), and I was so excited when they announced a new one for the Wii U.
I still loathe their lack of respect for the precedent set by the first two games. Why throw away what we loved and leverage off the art style alone? Sure this is a good Mario game, but The Thousand Year Door was the last Paoer Mario game. Gonna wait for the Aussie impressions before I cough up. Being an official Nintendo game, I'll probably never play this as it's price will never drop. What is it with Nintendo doing this? I would buy so much stuff for my WiiU if I didn't feel like I was just getting ripped off. Instead I buy nothing. Nintendo feel like their games are of a high quality and deserve to stay at around their release price, even years after release. Given the work that goes into them by hundreds of people, I'm not surprised. I tend to agree - most of (not all, but definitely s good majority of) Nintendo games are totally worth the premium cost honestly. Nintendo games, i find at least, aren't just a "fad" like the latest COD or FIFA or whatever that people flock to buy just so they can say they have it to their friends. Nintendo games have longevity. Years after release I'd still recommend people go out and buy Mario 3D World... it's worth every cent of the price. Further, Nintendo don't seem to release the same game year in year out with minor improvements (like the abovementioned games) so there is no "updated" game being released that makes their previous game irrelevant.